HDDB15-Male to HDDB15-Male 6 Feet Long. VGA Style Cable 10 feet long with fully molded Male-Male HD DB15 ends. Please note that These do Not have Pin-9 Connected as Required under the Original IBM-AT Video Card Spec. 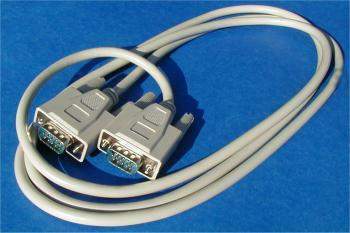 For higher Rez - please use our Super VGA Cables Part #00645.